Typically the information being marked is a part number and customer name. The roll dies are 3" in diameter and 3/4" thick with holes and a keyway to fix the die in the press holder. Robust and long-lasting steel dies are required because the forged material has a high hardness and the mark must be deep enough to be easily read and last after years of use. Kent Hascall, Sales Manager of Eagle Tool Group, says "We have dealt with Durable Technologies for 4-5 years, and their pricing is very competitive and the roll die delivery has been excellent. 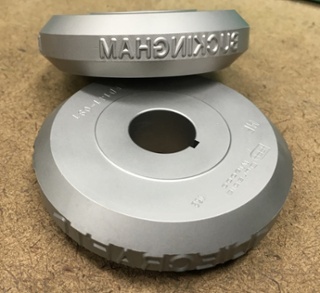 We always get a digital proof of the dies we need promptly so that we can confirm the set up is correct and then they always turn the finished dies around quickly. 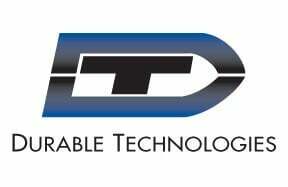 We appreciate the attention to detail from the Durable Technologies team and that is borne out in the high quality of all of the roll dies we buy from them." For marking parts being machined on an engine lathe, turret lathe or screw machine, these roll dies can be made for one or more lines of interchangeable type, or with combinations of solid logotypes and individual characters. Steel dies offer users a number of advantages. One of the most apparent advantages of steel is life span. Steel is a durable material that offers users a long service life, making steel roll dies a cost effective solution. Steel also creates clear, permanent marks and is strong enough to mark a wide range of materials such as metals, plastic and wood. Learn more about custom metal stamps and dies in the new, free Guide to Traditional Industrial Marking! Or contact us to request a quote. This post was published on August 2, 2016 and updated on August 2, 2016.